For the past 100 years, humanity produced more pollution than ever together with mass production, industry development and other machines and devices, but also mains of transportation. This concluded in a lot of damage to the planet, both for flora and fauna, but also on the quality of air and water. 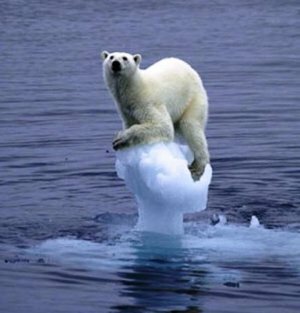 The worst of it all are the climate changes and there is nothing much that we can do, but to try to slow it down. Warm weather had devastating effects on everything from the basic thermic discomfort of humans to the melting ice around the Poles. This means that a great number of animals had to move closer to each other and they have been dying on an alarming rate, dangerous gases have been released into the air (because of the dead animals that have been buried under ice), cities and islands have been flooded (or in the process), while others have been dried. Some countries started to adopt environmental friendly politics, some cities even went further and, for example, banned cars from running in the centre of them or from running at all, built bicycle lanes, installed solar panels and so many more. Car manufacturers taught of and implemented some more convenient solutions like electrical cars and some even tried to build prototypes of cars that run on some other kind of fuel (like used vegetal oil). But this is only a small fish in the ocean, as the problem is bigger than we can imagine. In order to make a difference we have to reduce the usage of every kind of disposable materials and start using natural biodegradable ones instead, but there is a long way to get there. This has been affecting the whole planet and had various effects. But to start off, water pollution has many causes and it’s usually because of the substances that have been building in it, making its quality poorer and poorer which causes a lot of problems to both humans and animals, but oftentimes also to plants. Generally speaking, water has the ability to reduce its pollution by itself by spreading and dispersing whatever got it dirty, but if the foreign dangerous substance or substances are in big amounts, then this process is slower and even impossible. So, the cleanliness of the water really depends on the quantity of whatever is thrown in it, because, for example, if some chemicals are spilled in the ocean, the effect will be minimised, but if the same amount will be spilled in a river or lake, the effects will be much bigger, even catastrophic. Luckily enough, most of the damage can be reversible with a little help. There are various types of water pollution as there are many types of water. Starting from the bottom, the most important but unseen is the underground water. It supplies the rivers, which take the water all around the world. It can easily be polluted by the chemicals like weed killers or pesticides that people use in their own gardens to grow crops. Even though we cannot see it, that doesn’t mean it’s less important or less harmful. In some states, more than half of the underground water is polluted by these chemicals that get to the wells and other mains of getting it to the surface for the everyday use. For the surface water, there are also various ways of polluting. There is either point-source or non-point-source pollution. Intuitively, the first one refers to the single source of dirt and bad chemicals, like for example a pipe that comes from a factory or form sewage or an oil spillage from a tank. The second one refers to multiple sources of pollution and this one is the most common one since after all the water from all over the planet communicates. Any foreign substance that contaminates the water usually has an effect on a range of hundreds or thousands of miles and this is called trans boundary pollution. The most obvious and invasive kind of water pollution is represented by plastics, which are not toxic in the way chemicals are, but they produce damage and hazard to all living beings around or underwater, like seabirds, fish, underwater mammals and so on. There are videos circulating on the internet that portray this major problem by showing the world the devastating effects on the actual animals (like the famous video with the turtle that had a straw stuck in her nostril). 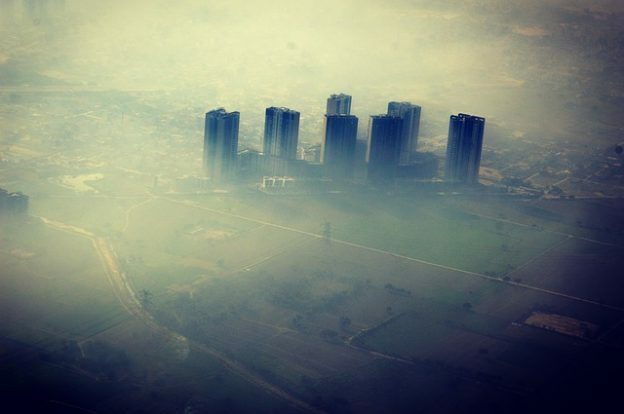 The most common form of air pollution effect is smog which roughly translates to a combination of toxic smoke and fog. You can find this in the big overpopulated cities around the world and the most of it is in China, where people are forced to wear masks to somehow clean the air they breathe. Air pollution may consist in many issues and the effects are various, even the air from the inside can be contaminated. You can call the experts at Safe Air to help you in discovering if the air you breathe has the quality you need. You can also look for extrinsic signs like mould or intrinsic concerning your personal health, because the air inside buildings or specific rooms can sometimes be more dangerous to our well being than the air outside. Basically, every damaging substance that is released into the atmosphere and does not belong there or is in a bigger amount than you can find naturally can be considered air pollution. The most common pollutant is carbon dioxide, which, besides being released into the atmosphere by all living beings when they breathe, when associated with cars or factories or simply burning fossil fuels and materials is the one that leads to global warming, because of the large amount of it. Next to that is methane which is usually a natural product emanated from swamps or livestock, but also from other human activities or usage of different machinery that have been banned because of destruction of the ozone layer. This is the main cause of global warming. Sulphur dioxide is another dangerous gas that we can find in nature and it used to be produced only by volcanoes erupting. Now it’s a component of smog which produces acid rain and reflects solar light and that is a cause of Earth cooling. All of these are the biggest cause of climate change.